Volunteering in Peru can be life-changing. It takes a lot to explore this planet and to volunteer one’s time and skills during the process. Truly, those who embark on such an amazing journey will have gained experiences and friendships that will last a lifetime. Anyone who feels the importance of offering one’s skills, knowledge, experience and time to one of the many exceptional volunteer abroad opportunities should definitely consider to take the leap and act on their desires. Not only will it be an exciting adventure, it’ll be one that will fulfill a duty to serve others and do good in the world. There are many aspects that must go into consideration on such a journey abroad. The first question to ask is where should one go? The possibilities are truly endless and there are countless exciting travel destinations that also host incredible organizations seeking the help of skilled and qualified volunteers. However, everyone has to start somewhere. South America is a great place for this—particularly Peru. Volunteering in Peru can open up many wonderful opportunities. For example, volunteers who come to volunteer in Lima, Peru can engage in all types of work, including environmental projects and work with animals. When thinking about international volunteering experiences, it is always important to consider the impact it will have on local communities. Being responsible and ethical while volunteering abroad in Peru is a sure way to leave a positive impact. 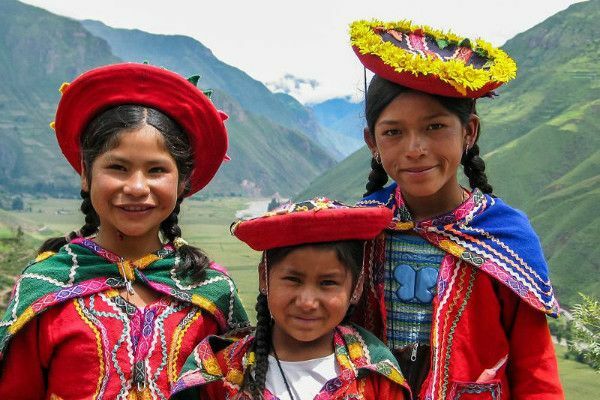 Peru is one of the most diverse countries in South America as well. Because of this, it can be helpful to know some basics before venturing off to Peru to take part in volunteer travel. Language: Spanish, Quechua, and Aymara are the most common languages spoken. However, Spanish is the language used most often, partly because it is the official language of Peru. Culture: The culture, food, and architecture of Peru are a combination of pre-Columbian indigenous cultures and European cultures. When taking advantage of one of the many volunteer opportunities in Peru, make sure to check out the Marinera dance, a romantic dance that showcases Peru’s blend of cultures. Currency: The currency in Peru is the Peruvian Sol. Weather: This is where things get tricky. Peru boasts thirty out of thirty-two of the world’s climates and microclimates. The coast is subtropical, the Andes are cold, and the lowlands in the east contend with Equatorial heat and rain. For this reason, it is important to check the weather specific to the months of the trip to Peru. What are Peru’s travel guidelines? The Peruvian government requires all US visitors to have a valid passport. According to a Peruvian travel site, the government doesn’t require US or western country visitors to have a travel visa. How long can a volunteer stay in Peru to volunteer and travel? The average approved length of stay is approximately ninety days. However, some sources claim that visitors can stay up to 180 days, though there are no extensions past this amount of time. Upon entering the country, it’s imperative that all travelers get an entry stamp in their passport. Without this stamp, they will not be allowed to leave the country. Something else to be aware of is the dangers that every country has—there are some places that are best to stay away from. In this case, there are areas of Peru that are restricted to travelers for their own safety. Check the US government’s travel page to keep track of which areas to steer clear of. Also, don’t forget to check this page regarding local laws and penalties, as well as required immunizations. How can a volunteer in Peru take full advantage of their time there? Here are three must-see Peruvian destinations. 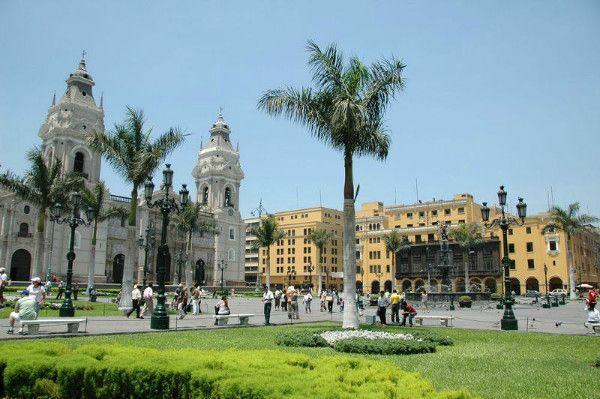 There is so much to do in Lima, Peru’s capital city! Visitors can visit pre-Colombian ruins, go surfing, visit museums, take a drive down the coast, or go to Plaza Mayor for some people watching. For history lovers, the Church of San Francisco and its famous catacombs from the 1600’s are a must-see in this fascinating city. This World Heritage Site is in the Andes and is a hot tourist destination—for good reason. Cusco was the capital of the Incas, and it has some of the most incredible ancient ruins and Spanish architecture in the country. It wouldn’t be a true visit to Peru without seeing Machu Picchu – the Incan city that the Spaniards never found. 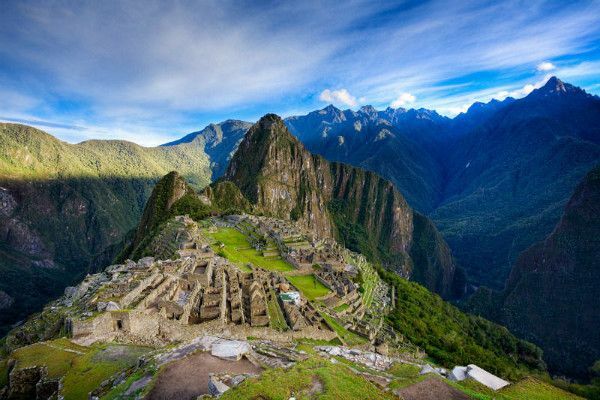 The scenery is breathtaking, making Machu Picchu a definite must-see for anyone visiting Peru. Besides all the natural and historical attractions in Peru, the most important objective for volunteers is to work hard and help the local community. What kind of volunteer abroad programs are there to enjoy? If you’re interested in giving back to this country, you can browse here for many volunteering opportunities located in Peru. Women’s Groups: Violence against women is a worldwide problem, and Peru is no different. Women’s empowerment programs assist women by increasing awareness, helping victims with psychological support, providing legal support, and lobbying for justice. If you’re interested in this cause, you can browse many volunteering opportunities for women empowerment. Educational Programs for Youth and Adults: While education reforms have been expanding in Peru, more work still needs to be done. Thirty-four percent of children under the age of eighteen are in the workforce, instead of enjoying the benefits of an education. Support is needed not only by the government but by those who take advantage of volunteering opportunities in Peru. Scroll through a list of volunteering opportunities in education and teaching. A Note about Volunteering in Orphanages: GivingWay does not endorse orphanage volunteer opportunities. Why? Studies have shown that some orphanages are being run like businesses. Instead of actually doing good for the people of Peru, they are concerned mainly with making a profit. Also, other studies have proven that orphans need steady ongoing relationships, rather than changing faces of visiting volunteers. The result of these negative practices: the breakup of families and the continued institutionalization of children. For these reasons and countless more, it is advised to volunteer with a community-based volunteer project that helps children stay within their home communities. In Peru, animals need help, too. This is particularly true for wild animals that need to be rescued because they are sick, injured, or in danger of being hunted. Those who help will be able to see these animals through the rehabilitation process. Getting the opportunity to volunteer at a wildlife sanctuary puts volunteers near monkeys, coatis, deer, macaws, and more. Domesticated animals need help in Peru as well. These are typically animals that have been abused, abandoned, or are ill. Volunteers will help prepare food for these animals in addition to training and socializing with them. These animals recognize the help they are receiving and the kindness bestowed upon them. They return the gesture with unconditional love and plenty of wet kisses. When considering what charity or volunteer organization to work with, it is important to focus on responsible wildlife volunteering. It is vital that the organization being considered is legally registered. These entities are more likely to comply with regulatory standards that help ensure the safety of the animals and those who help them. Additionally, it is important to ensure that the safety and the good of the animals come first, and not the volunteers. Make sure they have proper living conditions, receive the attention they need, and other such important indicators. Here, you can find a list of volunteering opportunities in animal care. 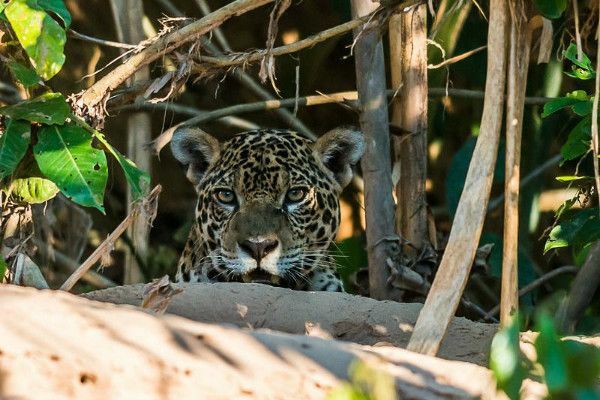 Those who love being at one with nature will most likely enjoy volunteer opportunities in Peru that promote the protection of the great outdoors. Peru is such an awesome place to do this type of work. There are many jungles, rainforests, rivers, and the ocean to preserve and protect. What does eco-volunteer work entail? In some cases, volunteers have worked with lawmakers to protect plant and animal species. Others go to schools and villages to teach children and families about the importance of protecting the environment, the ecosystem, wild animals, and everything else that nature has to offer. Still, other volunteers work to get the community involved in their efforts. 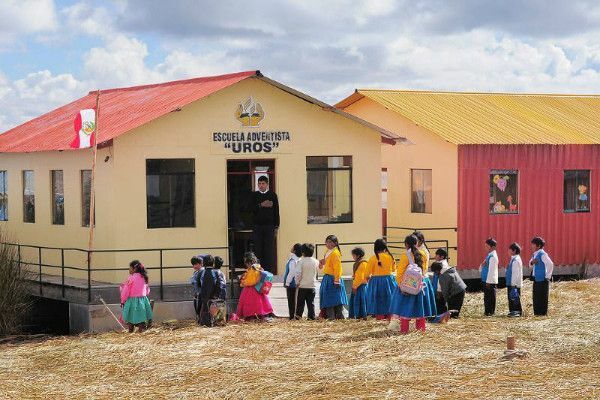 Instead of just educating those in Lima, Cusco, or other cities and towns in Peru, volunteers invite the locals to check out what their organization is accomplishing. Locals can see wildlife that’s being rehabilitated, vegetation that’s being planted, and see how water conservancy works. As with responsible wildlife volunteering, it is important that a volunteer makes sure that they’re working with or contributing to a legally established and reputable organization. One can ask the organization to explain exactly how the project helps to preserve or save the environment. This is a good indication that real work is being invested. Browse through a list of eco-related volunteering opportunities here. Where in Peru should volunteers travel? Which cities offer the best volunteer options? Here are just a few of the volunteer opportunities in Peru. There are many areas for volunteers to help in Peru’s capital, Lima. They can help children by volunteering with an educational group, help the sick and injured, and other projects. 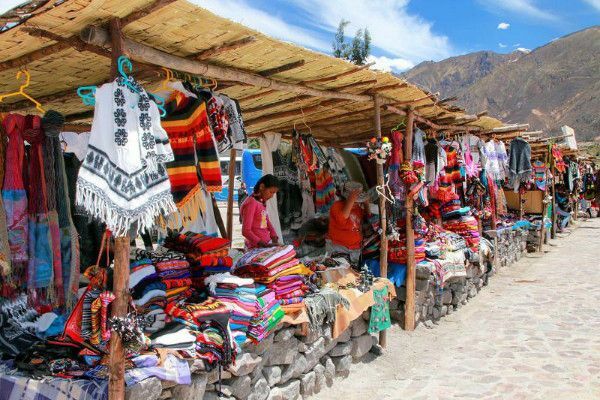 Volunteer programs in Cusco Peru are a great place to start as this is one of the most frequented locations by travelers. A lack of education results in poverty. That is why so many volunteers choose to visit poorer areas of Peru, like Trujillo. There they can teach English, both reading, and language, to the locals. This educational work can help people get better-paying jobs, which helps to ensure a more secure future for them and their families. Volunteers who can teach English have an incredible resource to provide locals. It is important to make sure that volunteers work alongside local teachers in order to form sustainable projects that will continue even after the volunteer has left. 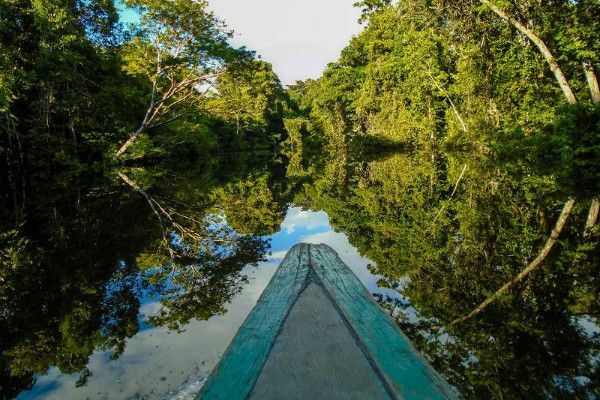 Most environmental conservation projects take place in this part of the Amazon rainforest. A typical conservation project means a volunteer can work to preserve wildlife, plants, and water systems. Additional projects can be found in the fields of construction and renovation. The goal of most volunteers is to leave their destination better than how they found it. By all means, volunteering in a responsible and sustainable way helps accomplish this, but there are other ways to do this as well. Community-based Tourism: There’s no better way to experience a new town or country than through the eyes of a local. Instead of staying at a high-priced hotel, why not stay with a local family? Doing so allows volunteers the opportunity to save money, help a family in need, and develop lifelong friendships. Buying Local: Purchasing local products and souvenirs is yet another way to be a responsible volunteer. Why buy a knick-knack made in another country, when one has the chance of buying something made by the hands of a Peruvian artisan? Supporting Local Businesses: One of the best things a volunteer can do is support the local businesses. It is a great way to extend their volunteer efforts, have a hand in reducing poverty, and bring money into the town. Know Where the Volunteer Fee goes: Volunteering in Peru doesn’t have to cost an arm and a leg. There are many reputable volunteer organizations that charge a volunteer fee and are very clear and open about where the money is spent. Connecting with these programs helps stifle organizations (mostly volunteer companies and agencies) that are trying to make money off of those who want to do good in the world, without paying back to those who really need it. For those who would like a similar experience, it’s important to start the volunteer process off right. First, figure out what type of volunteer work to do. Ask: do I want to help people, animals, the environment, or a combination? From there, find out what the most fitting volunteer opportunity in Peru is. It is important to make sure the organizations are clear about the volunteer fees, are ethical, and have a good reputation. Finally, make plans to ensure that the journey itself will also be a responsible one. Find out how to support local businesses and other aspects of the local community. The better prepared a person is for their journey to South America, the more meaningful and enjoyable their Peru volunteer travel experience will be. Are you interested in volunteering in Peru? Discover more information about opportunities and destinations in Peru, and how to make your next adventure to Latin America the best experience you’ve ever had!